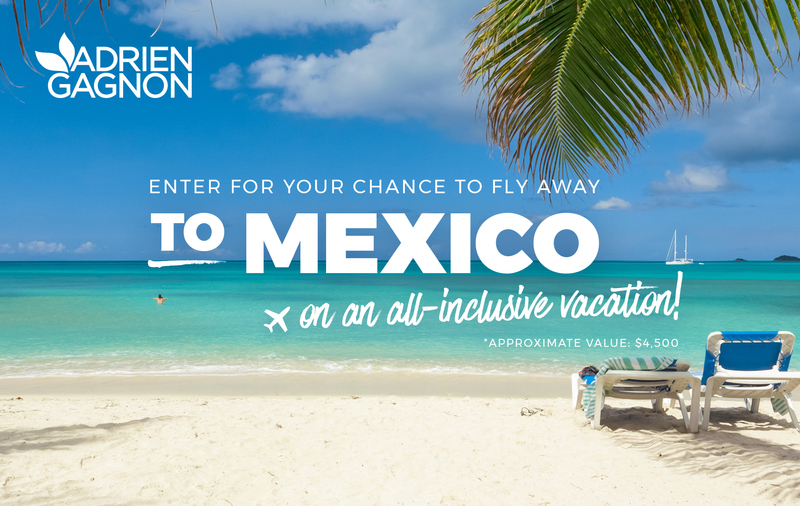 Contest "Enter for your chance to fly away to Mexico!" I’d like to subscribe to the newsletter and increase my chances of winning. 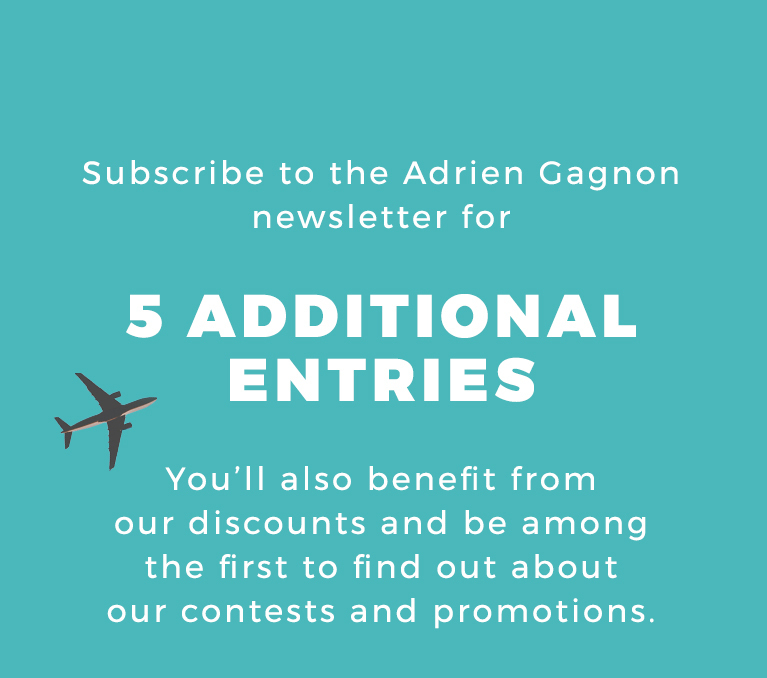 You are now registered in the Adrien Gagnon "Enter for your chance to fly away to Mexico!" Share and increase your chance of winning! A copy of your unique link was sent to you by e-mail. Sorry, the contest is closed. Adrien Gagnon will select a random grand prize winner on December 19th. The winner will be contacted by phone and / or e-mail and his / her name will be published in our newsletter.